We found a designer label that will help you up your couture game. The next time you are in a fashion fix, head to this gorgeous boutique in Koregaon Park that will satiate your fashion hunger with their heavy-work and traditional ethnic wear. 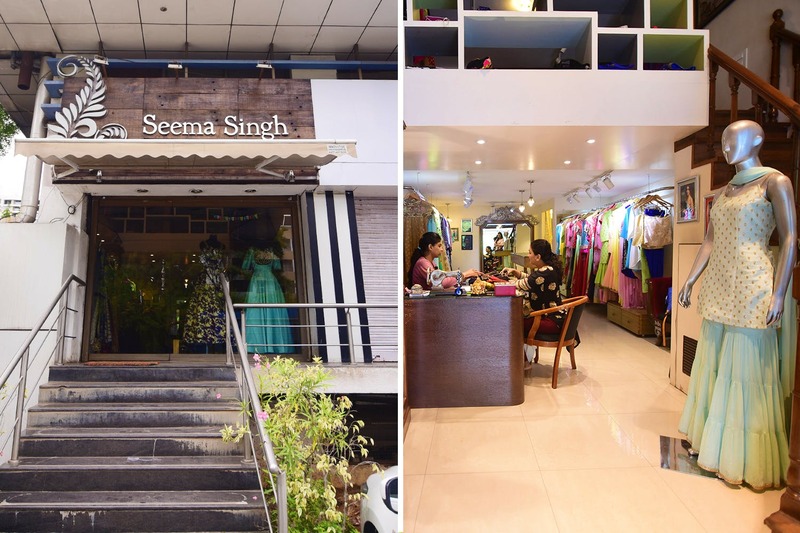 Located in Lane number 5 of Koregaon Park, Seema Singh's Boutique is every ethnic clothing lover's paradise. Housing a huge collection of kurtis, cocktail gowns, lehengas and Indian dresses, this place also takes care of your tailoring needs and customises according to your taste. Specialising in the art of zardosi, chikankari and applique embroidery (a form of embroidery where small pieces of fabric are stitched together using a needle), we found their designs traditional with a hint of royalty. Prices vary as it depends on the type of the fabric, design and tailoring techniques that used. We simply loved their kurtis with applique designs. We also found their wedding lehengas, starting at INR 17,000 appealing due to their intricate handmade work of zardosi, chikankari and patchwork. They should also add kurtis under INR 1000 to their collection. The boutique has a beautiful collection of ready-made blouses starting at INR 3500. We suggest you check it out and match these blouses with glitzy lehenga skirts to get your one-of-a-kind lehenga.